J.M. 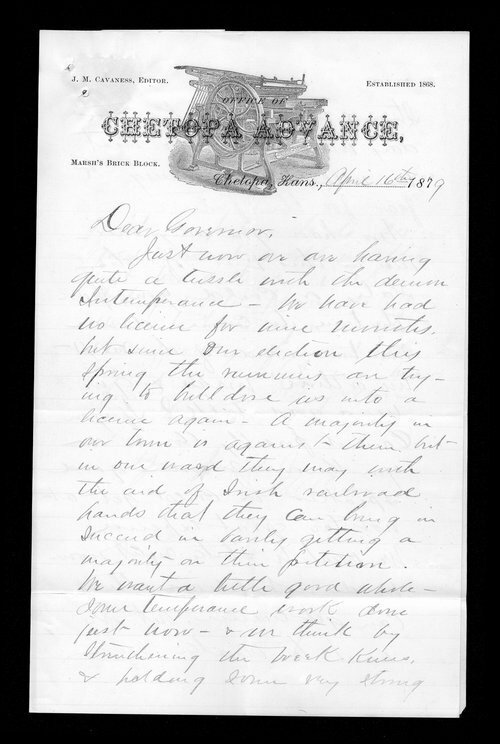 Cavaness, editor of the Chetopa Advance, writes Kansas Governor St. John regarding the problem of intemperance supporters in his community "bulldozing" the town to obtain another license. He is confident the temperance contingent will prevail but urges the governor to deliver a supportive speech to his community.